We’re in the midst of peak tourist season in Philadelphia as we approach Fourth of July weekend, and who can blame our out-of-town guests for wanting to be part of the action? While Wawa hoagie day, Mummers and the Party on the Parkway may rank high on many holiday to-do lists, a recent study said Philly’s legal fireworks are another drawing point enticing visitors. 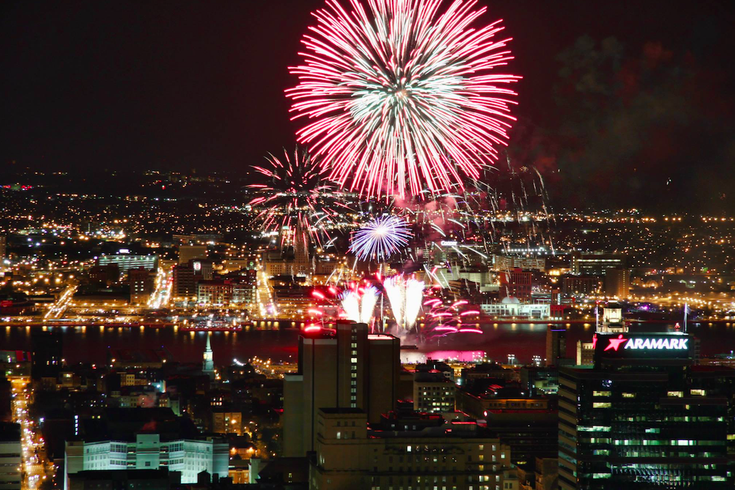 Financial planning site WalletHub released a report Monday ranking the best cities in the U.S. to celebrate July 4, taking into account everything from beer prices to hotel rates to walkability to, yes, the legality of fireworks. Philly came in No. 1 when it came to firework legality and the price of a July 4 party ticket (aka free). Overall, it ranked No. 20. Some scores that may have dropped the city down a few notches are the average beer and wine price, which fell at No. 39 nationally, and our questionable weather, falling at No. 28 nationally. Philly rounded out the top 5 for its number of July 4 festivals and performances and came in at No. 8 for safety and accessibility. Looking at the 100 largest U.S. cities, WalletHub used 18 key metrics intended to help you determine where you can get your money’s worth for the holiday. WalletHub found that, nationally, about 44.2 million Americans plan to travel more than 50 miles for the Fourth of July, and more than $800 million is expected to be spent on fireworks alone. Food and alcohol will also lead to hefty sums with $7.15 billion and $1.6 billion expected to be spent on each, respectively. Check out WalletHub’s full infographic here.